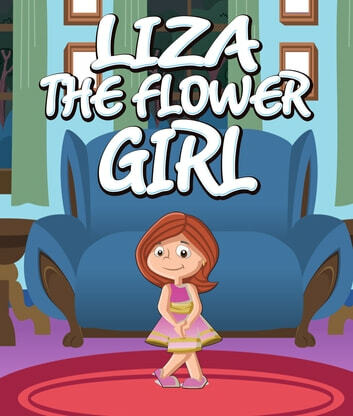 Liza is as excited as she can possibly be. 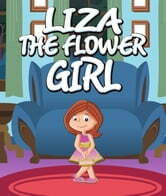 Her aunt Lowell is getting married and Liza is going to be a flower girl. She is four years old and " a very big girl now." as Aunt Lowell tells her. Aunt Lowell is marrying her long time boyfriend, a man that Liza just loves and she can't wait to be in the wedding with her mother, Susen, who is a bridesmaid. She is very proud of her new white leather shoes. They look just like ballet slippers and the dress that Aunt Lowell bought her is light purple, her very favorite color. Her cousin Elly is going to be the ring bearer. She gets more and more excited until the evening of wedding practice. When the organ begins to play, her feet will just not move. They seem just stuck in place. Her aunt Lowell looks sad and her mother's lips got that firm set that they got just before she asks her if she is going to be ill. Liza wants to walk down that aisle to make Aunt Lowell proud but her legs feel like rubber. Aunt Lowell steps up to Lowell and asks her softly if she can speak to her. Liza nodded yes. When she returns, she has a secret smile and her legs are no longer feeling weak. What did Aunt Lowell say to her that helped her to be able to walk down the aisle and not be afraid?